A Madison County Transit bus around Wood River. 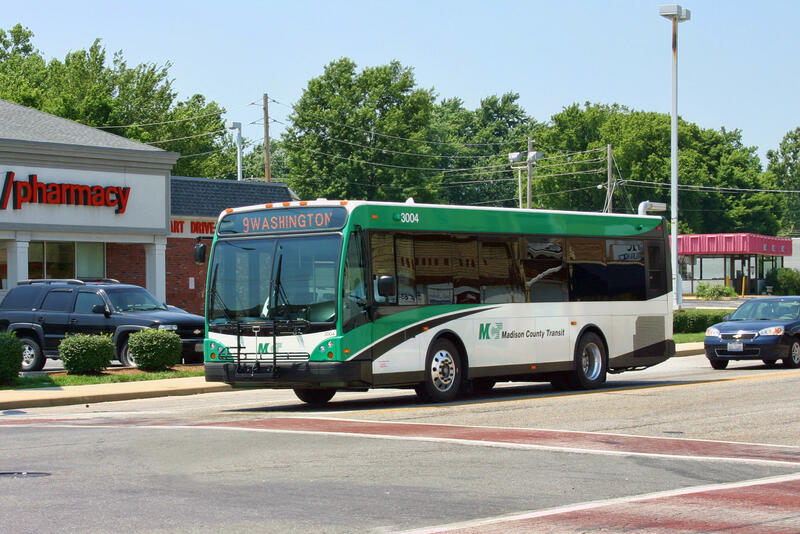 Madison County, Illinois, bus riders will soon start seeing some changes in service. Starting next Sunday, Madison County Transit will bring an entirely new bus route to areas popular with the Highland community, and add evening and weekend service elsewhere. The expanded services will not be offered on all routes. 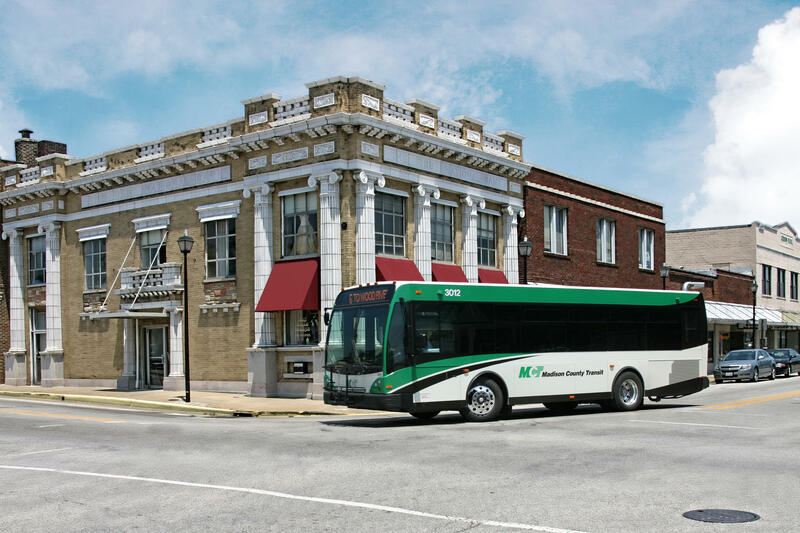 Instead, according to SJ Morrison, Director of Marketing and Planning for Madison County’s transit system, the department evaluated holes in service and community demands, then chose to expand bus routes that demonstrated the most need. Reaching jobs isn't just a matter of expanded routes; it's also a matter of later hours. Six new bus drivers will be hired to support the new services. State money and existing sales tax funded the expansion. Morrison said that no fare changes have been implemented at this time, and that if they are implemented, they will not be related to these changes. These changes mark the second and final phase in a two-step process that Madison County Transit began planning last fall. A summary of service changes is below. For full details on changes and times, see here.